Same basic drill as the Break-out/Break-in 1, except the coach at center ice is replaced by a defenseman who turns this drill into a 2-on-1. • Add a second defenseman and make this a 2-on-2. 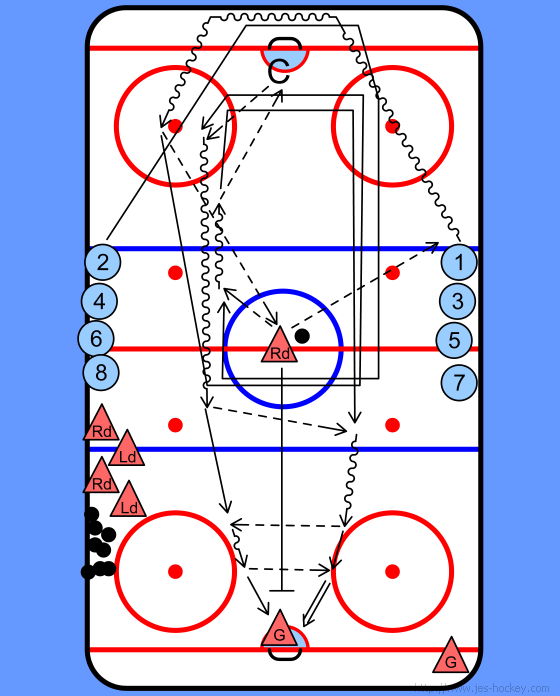 • Replace the coach at the goal mouth with a third forward who can jump into the play after the final breakout pass and make this drill a 3-on-1 or 3-on-2 with a second defenseman.